The past weekend was lovely and Sunday, unlike Saturday (which was a Bad Day to wear a skirt), was warmer and not too windy. It is 3.2 km walk each way, so I feel somewhat less guilty now. I probably should not have had a BBQ chicken roll and chippies upon my return, but that guilt can wait. Instead of walking through M'ville's main drag, which is full of terrible discount shops and strange fishy odours, I took a back route in order to enjoy my day in the relative absence of other people. As I walked, I came across a piece of guerrilla knitting. 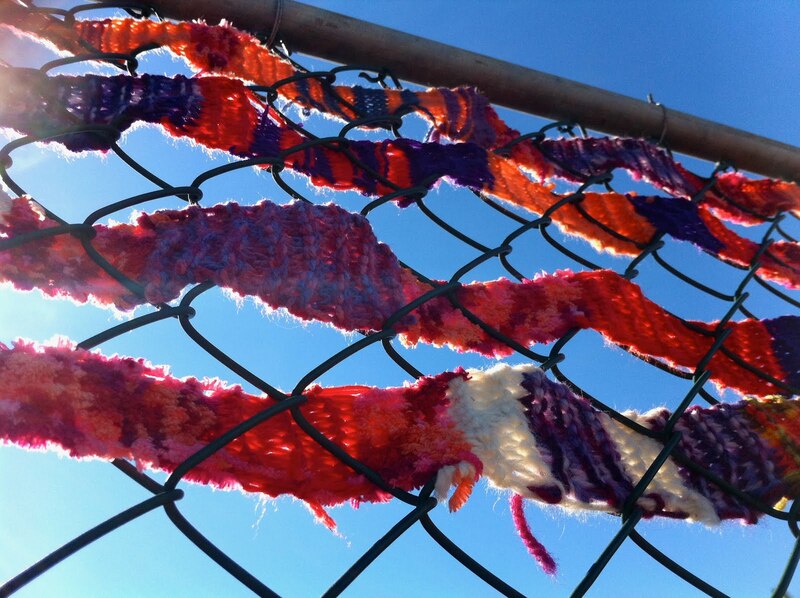 Guerrilla knitting! In Marrickville! Perhaps Marrickville really is the new Paddington. Gulp.